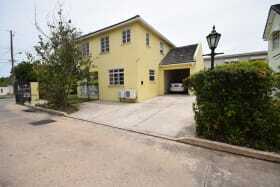 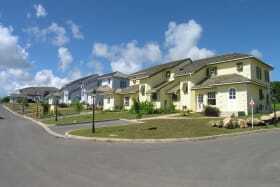 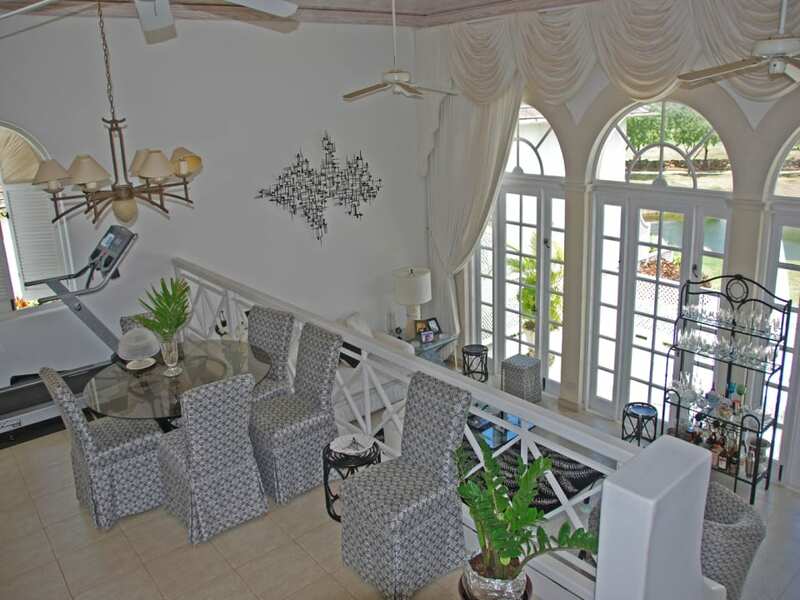 Cassia Heights Townhouse features 18’ ceilings and French doors which lead to the patio overlooking the lake. 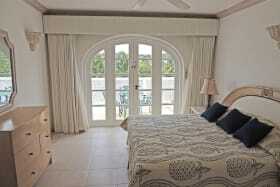 Relaxing view of the lake from the patio and bedrooms. 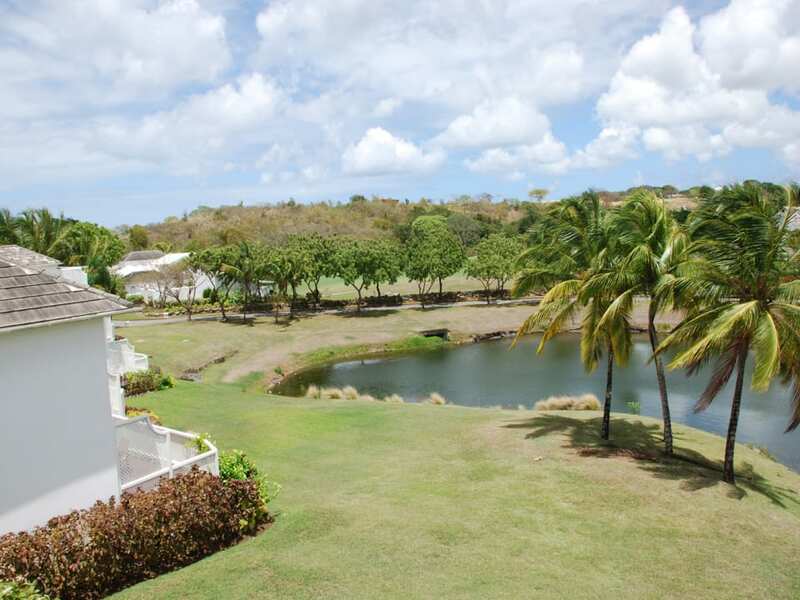 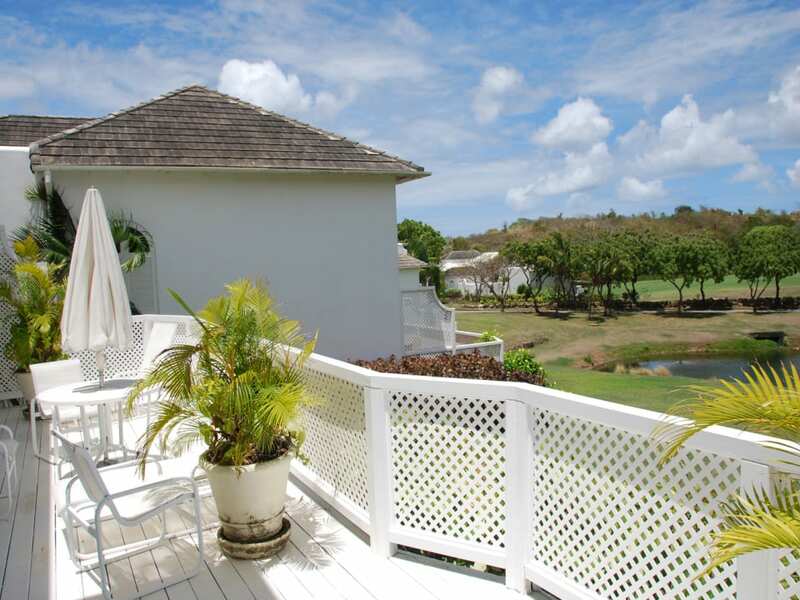 Access to all of the amenities available at Royal Westmoreland. 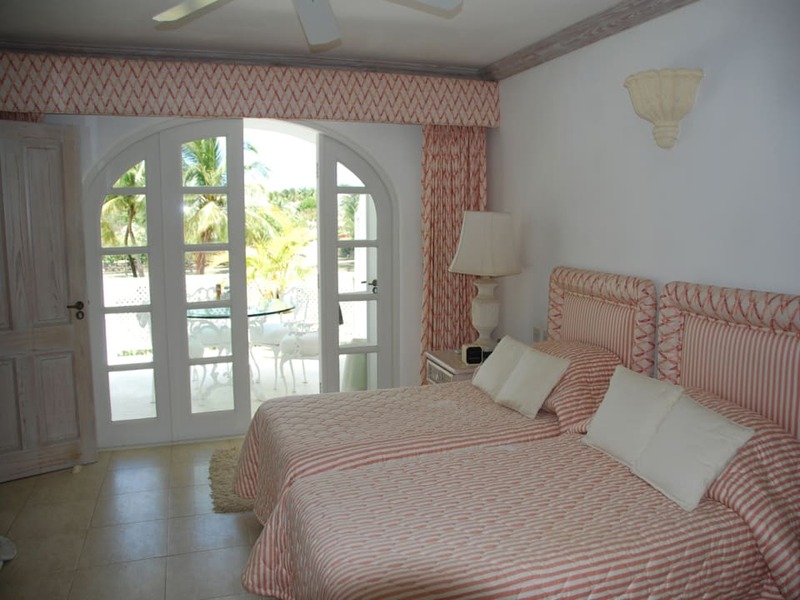 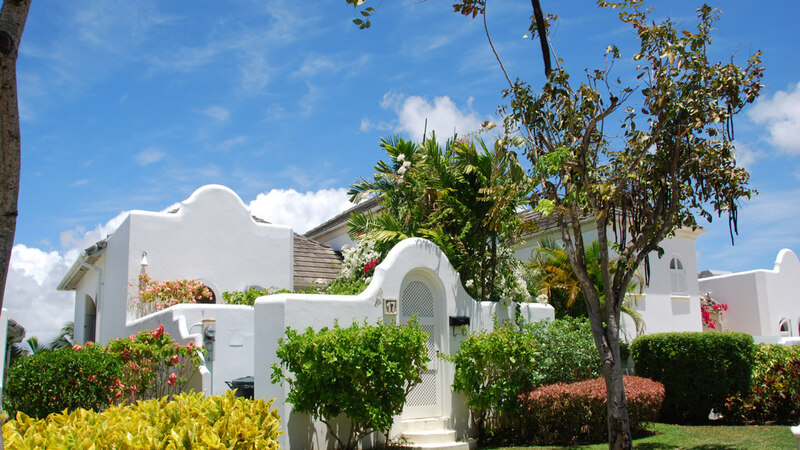 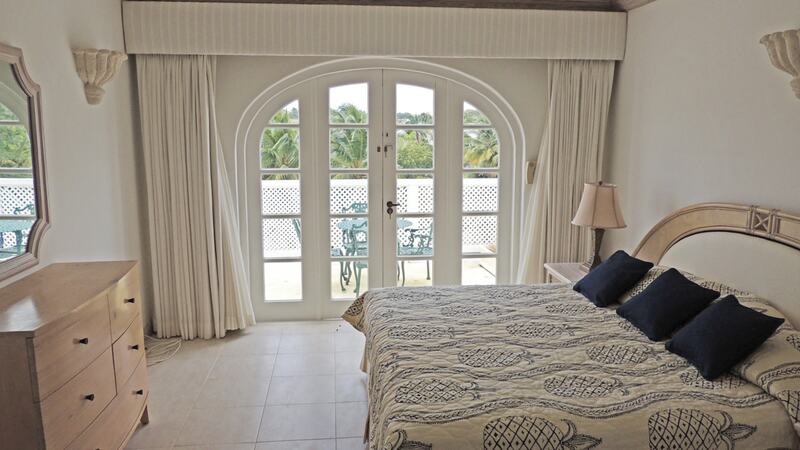 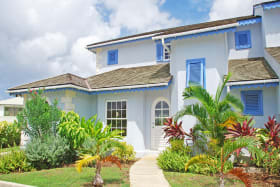 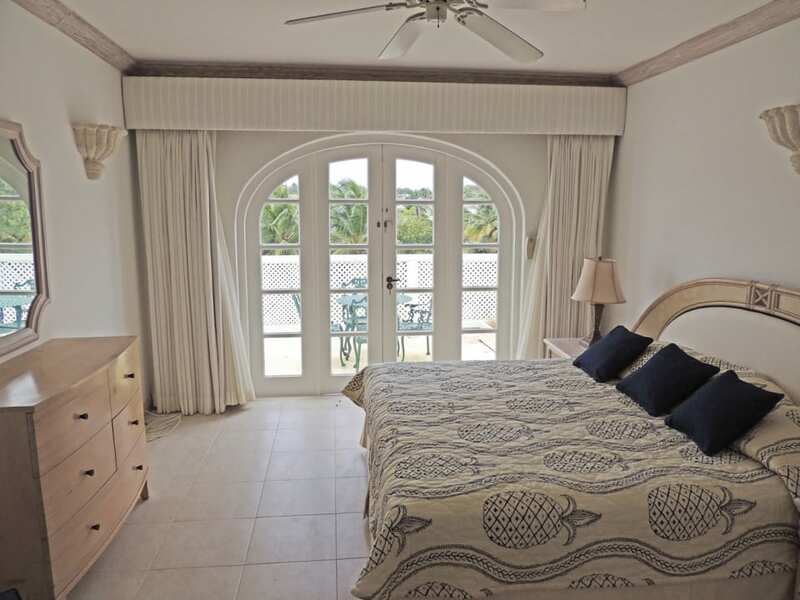 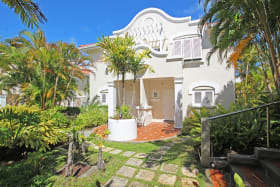 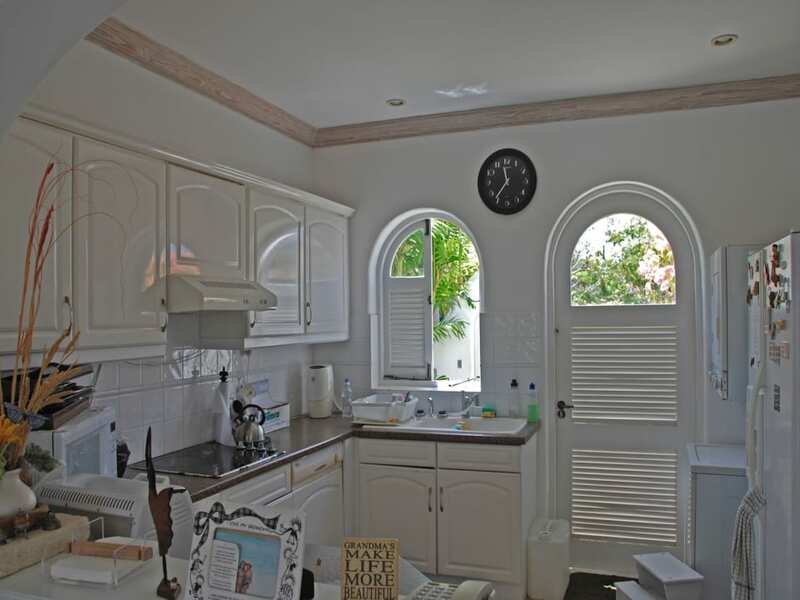 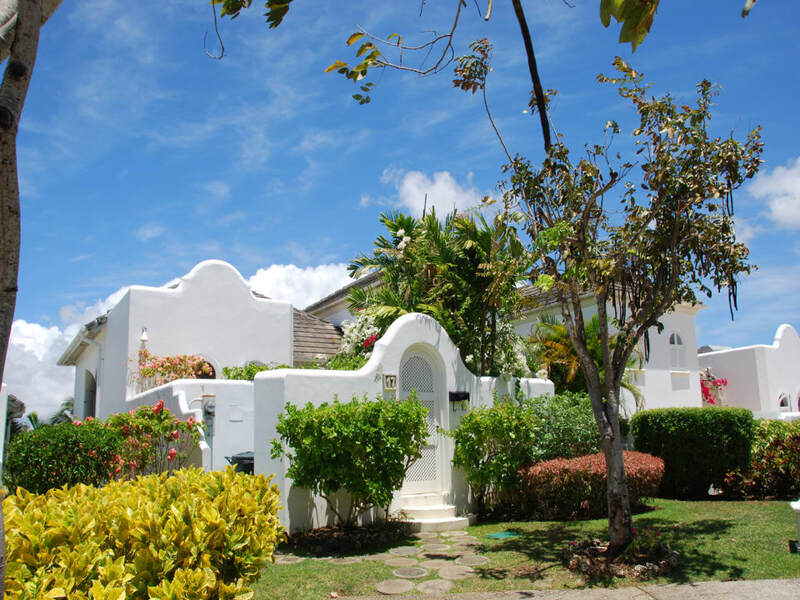 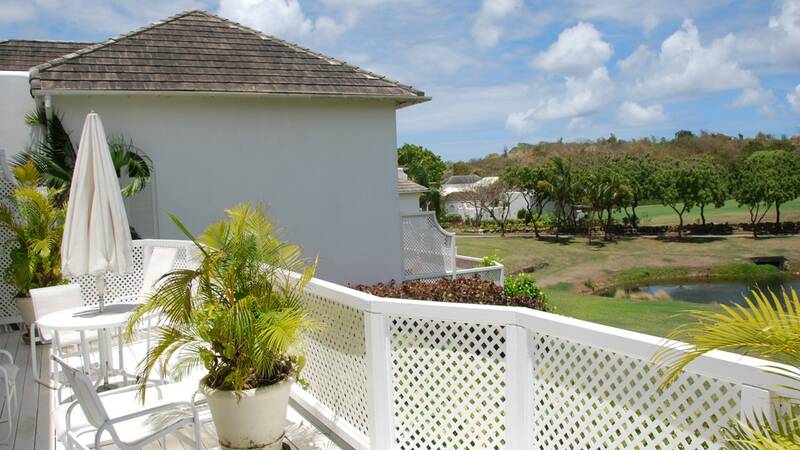 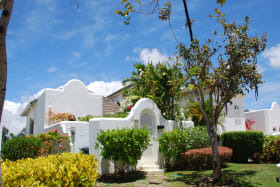 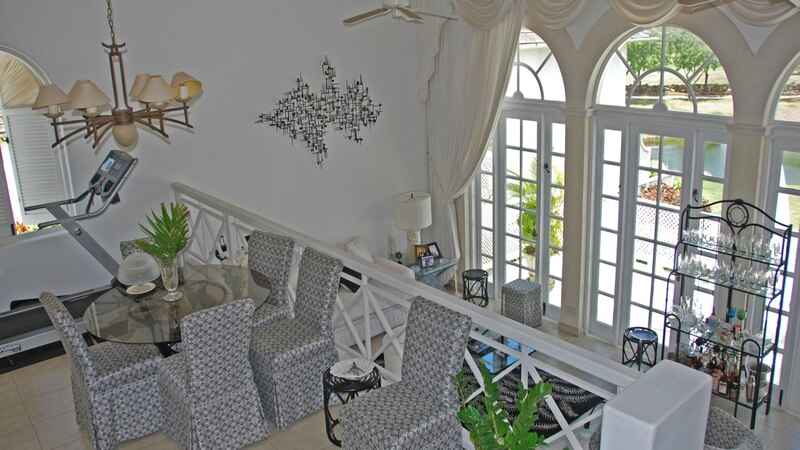 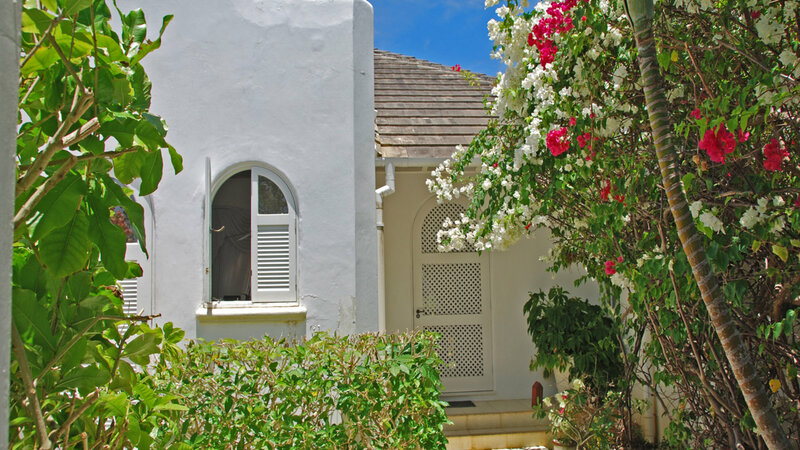 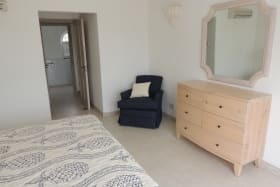 Tastefully furnished and decorated, this elegant 2-bed/2-bath Cassia Villa at Barbados’ Royal Westmoreland premiere Golf Resort is in immaculate condition. 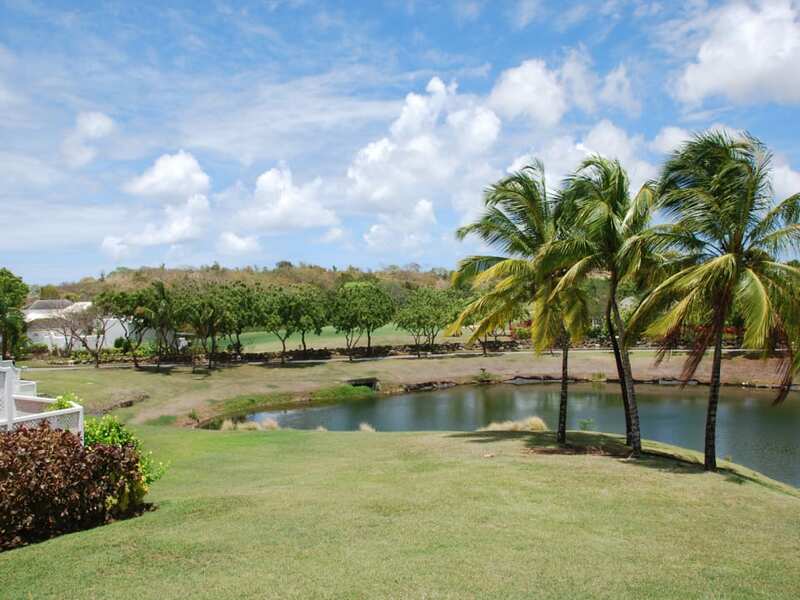 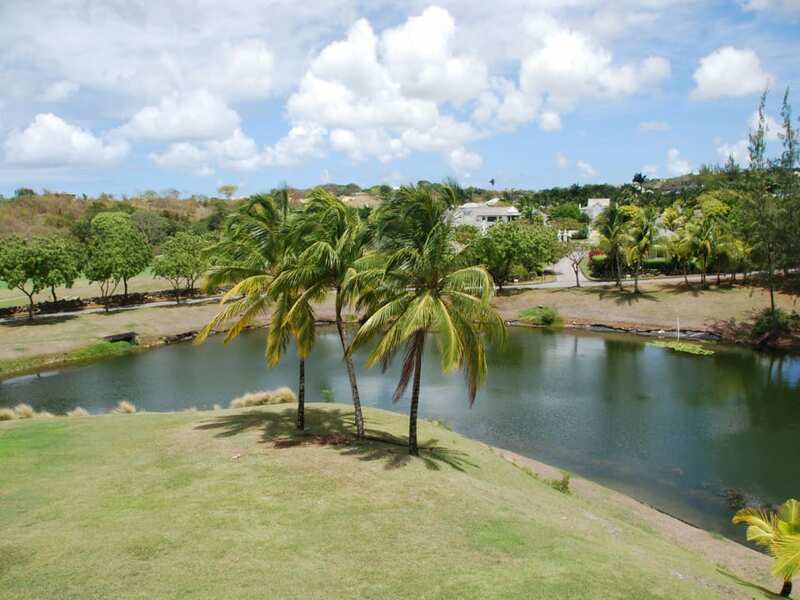 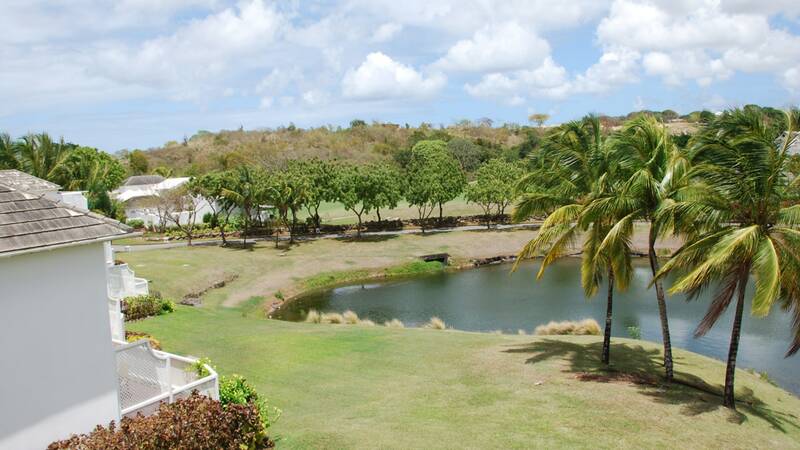 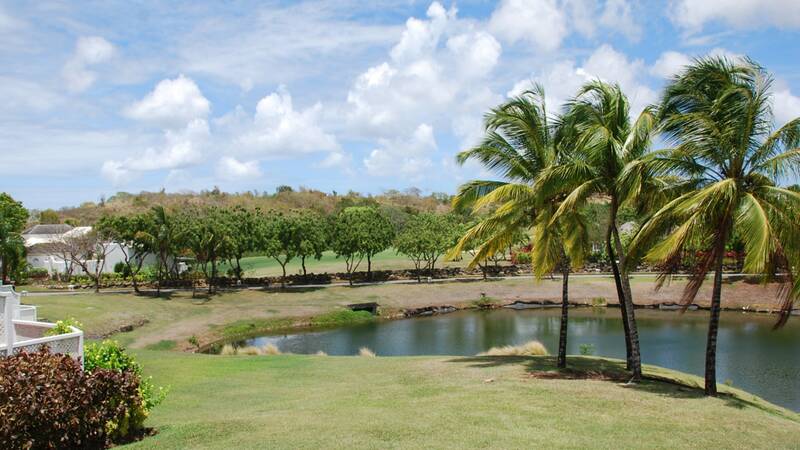 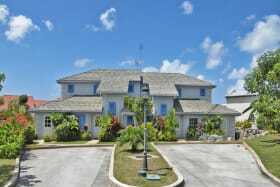 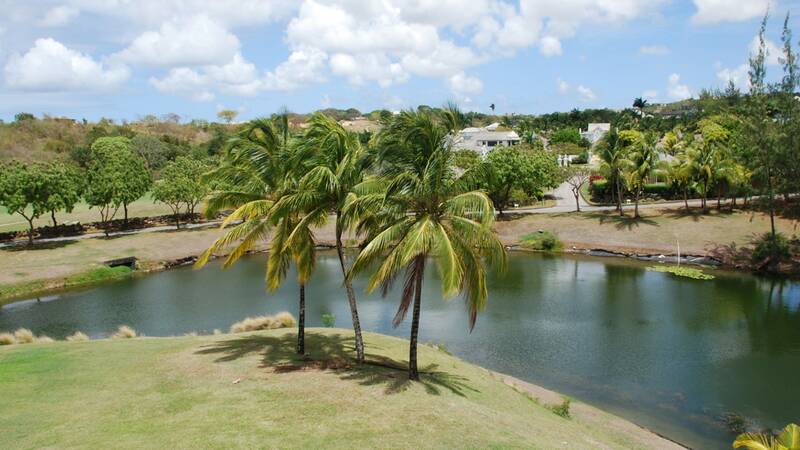 Architect designed and in prime position to enjoy the tropical breezes of Barbados and a stunning golf course and ocean view, this property is just a minutes walk to the clubhouse, gym, pool, and world class golf course facilities of the Royal Westmoreland 480-acre resort. 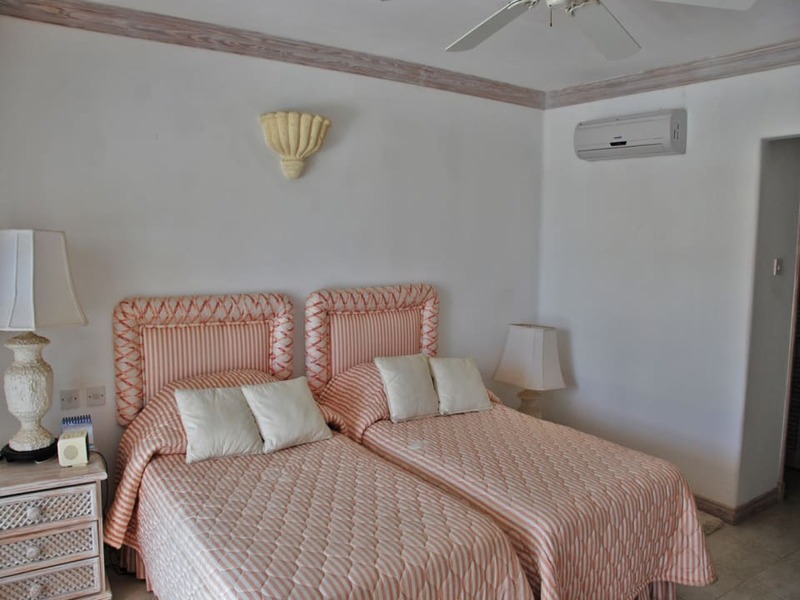 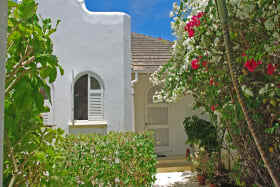 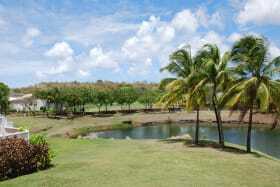 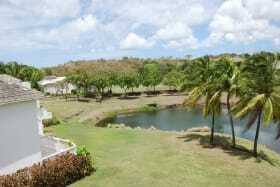 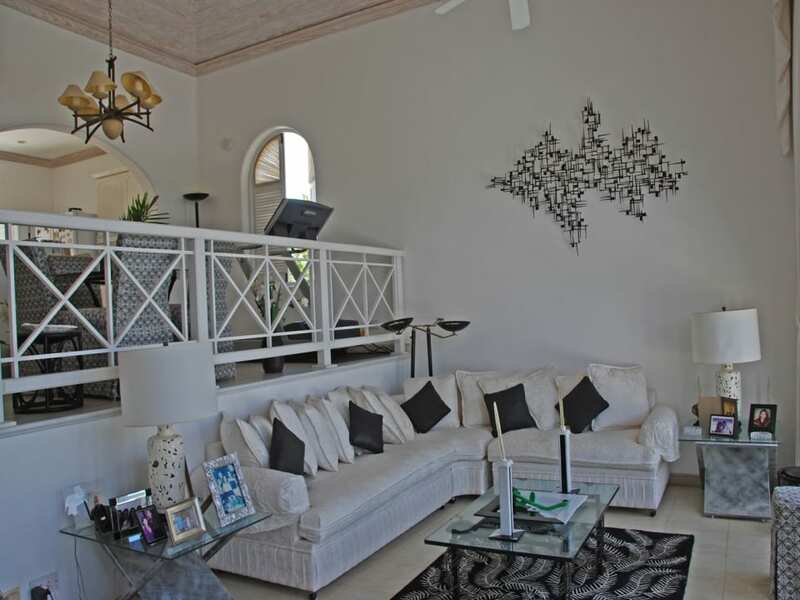 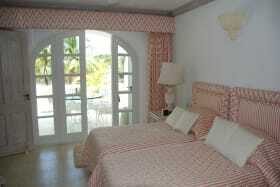 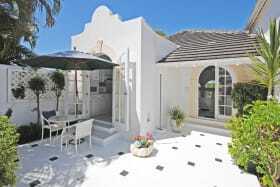 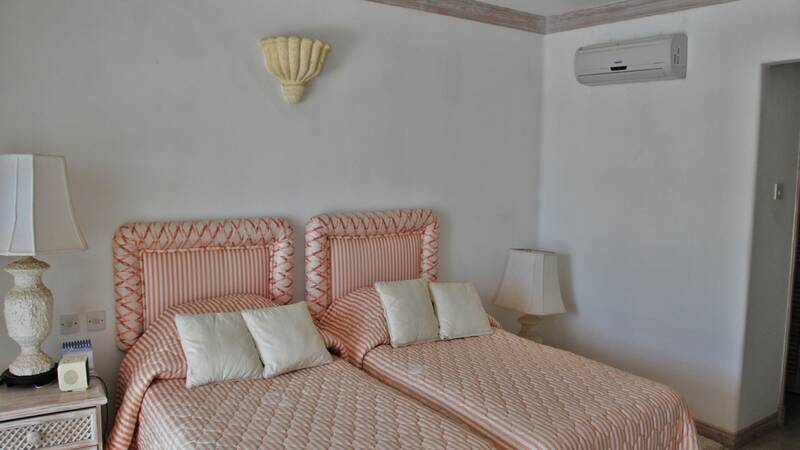 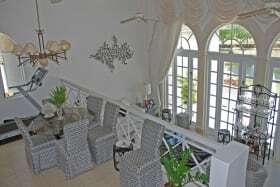 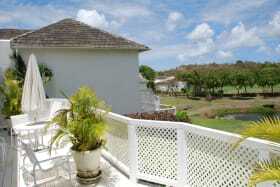 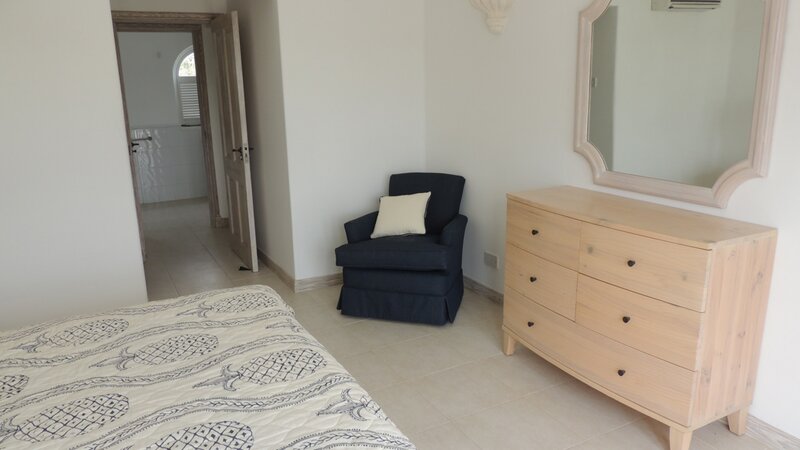 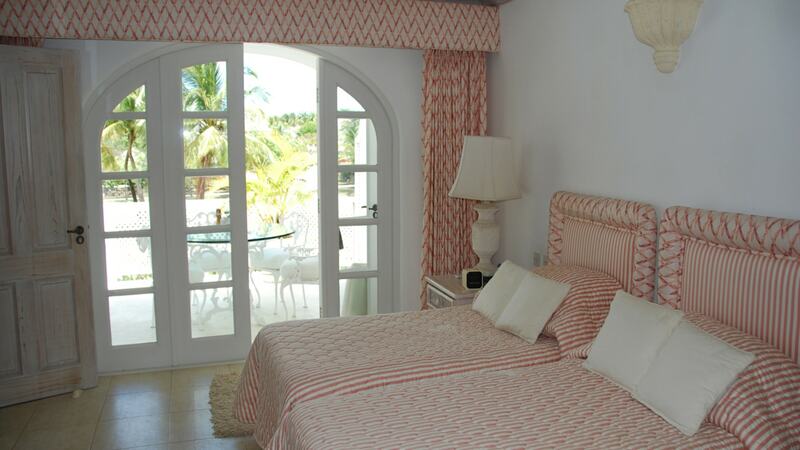 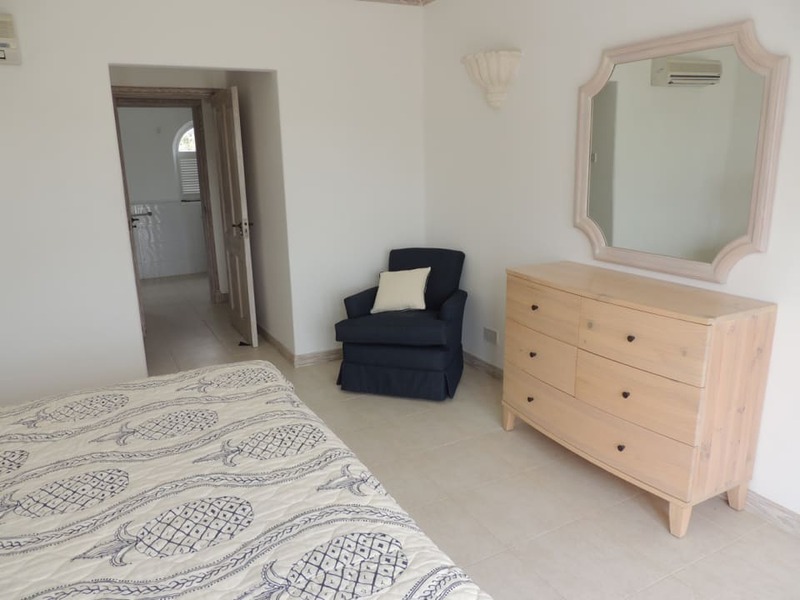 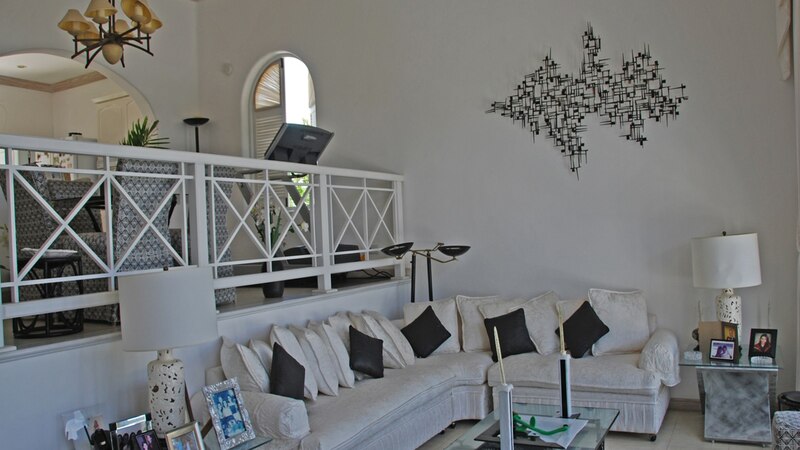 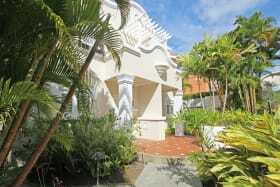 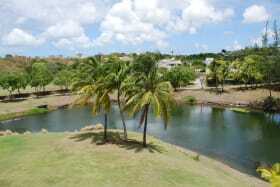 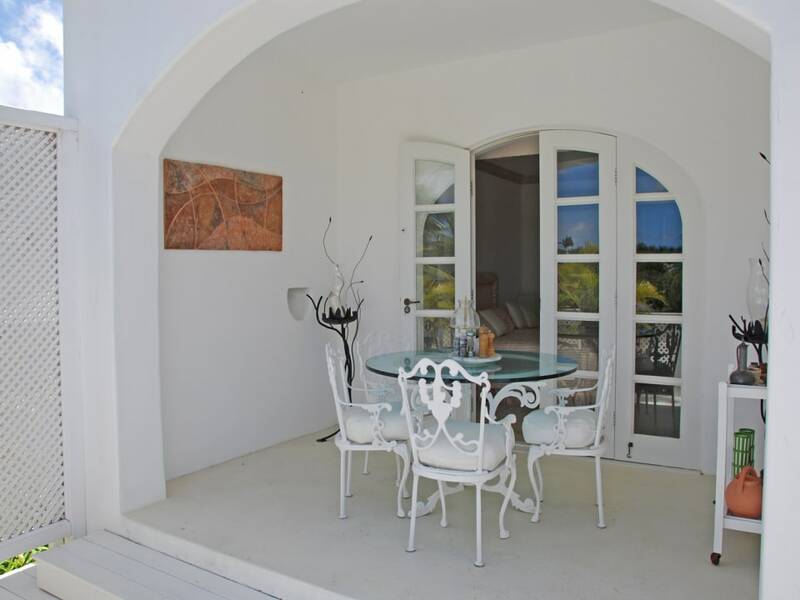 The villa is equipped with ceiling fans throughout and all the bedrooms are air-conditioned. 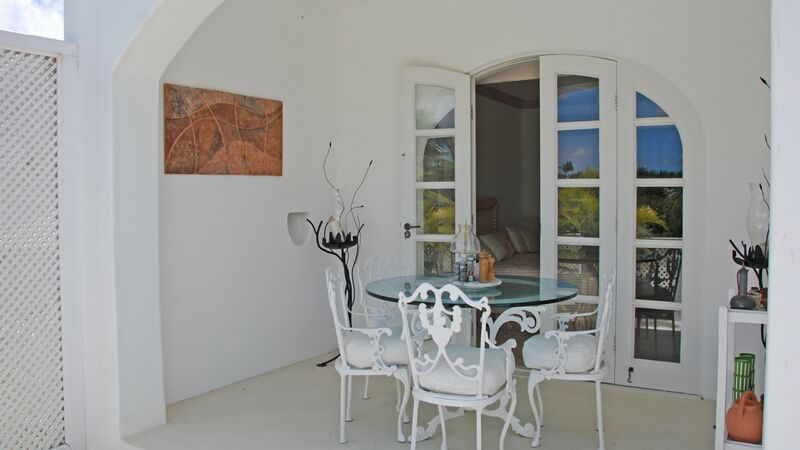 The open plan and dramatic double height of the living area lead via elegant French Doors to the extensive covered terrace. 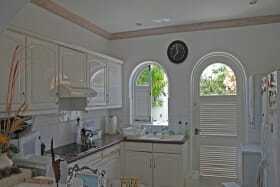 The dining is on a mezzanine area just off of the kitchen with granite counters and wooden cabinetry. 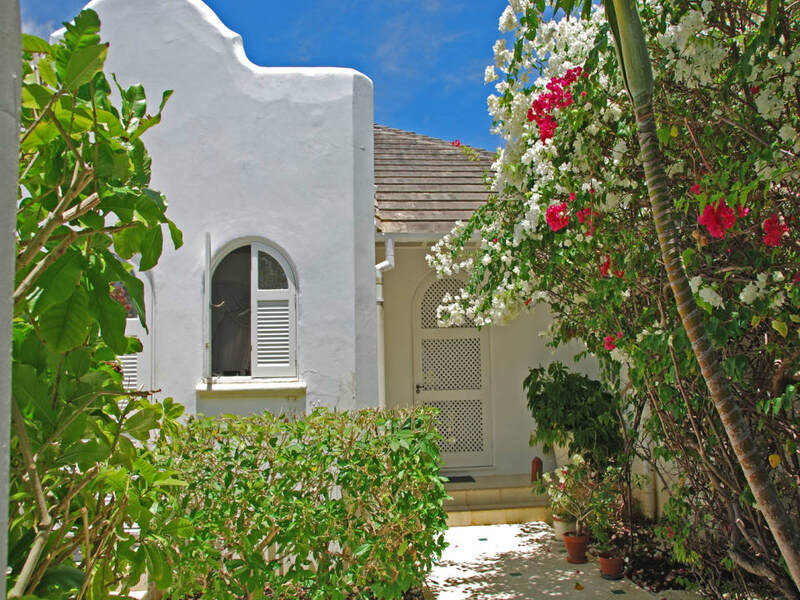 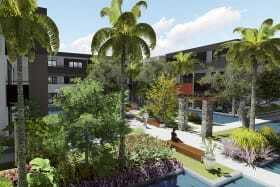 Step from the kitchen onto a lushly landscaped private courtyard. 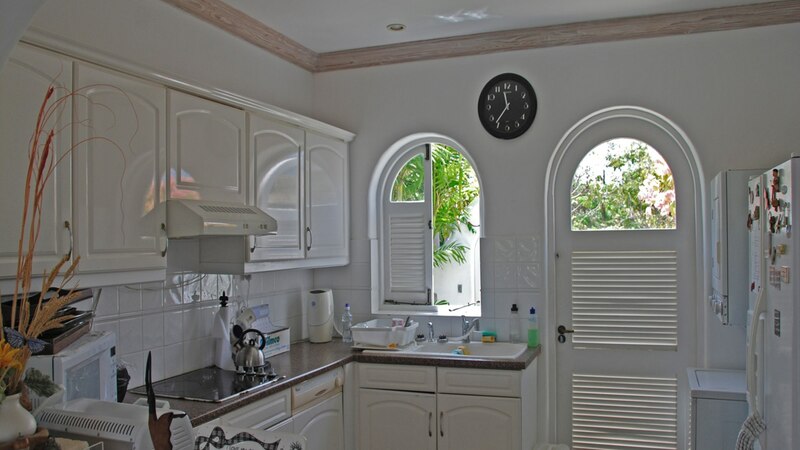 There is a large laundry room with ample storage, washer and dryer.